©2014 - 2018, Evan Hopkins. 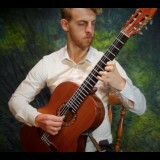 Evan Hopkins is quickly gaining a reputation as one of Australia’s foremost classical guitarists of the next generation. As an international performer he has played throughout Austria, the Czech Republic, Germany and Spain and is a regular performer throughout Australia in concert and on live national radio. Evan has studied with many of the world’s leading concert guitarists, with his principal teachers being Aria award winning guitarist, Tonié Field (Saffire, Melbourne Guitar Quartet), and Guitar Foundation of America Competition winner, Vladimir Gorbach. Supplementing this tuition, Evan has played in masterclasses with David Russell, Manuel Barrueco, Slava Grigoryan, Tim Kain, Pavel Steidl, Ricardo Gallén, Paul O’Dette, Hopkinson Smith, Carlo Marchione, Alvaro Pierri, Zoran Dukic, Lorenzo Micheli, Florian Larousse, Claudio Maccari, Fabio Zanon, Roberto Aussel, Shin-Ichi Fukuda, Laura Young and Oman Kaminsky. In 2016 Evan Hopkins was awarded the Mt Beauty Music Festival Clifford Hocking Scholarship. This scholarship was awarded to enable Evan to make the premiere recording of Nigel Westlake’s Sonata ‘Mosstrooper Peak’ for solo guitar. 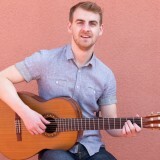 Active throughout the Australian guitar community, in 2014 Evan co-founded the Melbourne Guitar Foundation with fellow guitarist and Masters student, Michael MacManus. 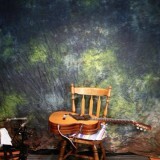 The MGF was established in order to develop performance opportunities for local guitarists. In addition to presenting concerts by international and local guitarists, the MGF offers students masterclasses, scholarships and competition opportunities. Further details can be found at The Melbourne Guitar Foundation. 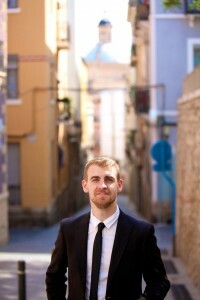 Evan holds several Masters from internationally renowned universities. These include a Master of Music (Music Performance) (Victorian College of the Arts and Melbourne Conservatorium of Music, University of Melbourne) and a Masters in Classical Guitar Performance (University of Alicante, Spain). In 2013 he obtained his Bachelor of Music with Honours (VCA & MCM, University of Melbourne). In 2017 Evan was awarded the prestigious Australian Postgraduate Award (Research Training Program) to study a Doctor of Musical Arts at the Sydney Conservatorium (University of Sydney). Newsletter: Send me free downloads! I am very happy to announce that this weekend I was awarded first place in the 2..
We’ve finished the recording process at Old Skool Studios and I’m qu..
Over the past few years I have completed a few projects that I would like to rel.. Recently I recorded a couple works by the Australian composer and author, Jeremy..
Evan Hopkins Awarded the 2016 Mt Beauty Clifford Hocking Scholarship I am very p.. Please leave a contact number if you would like a call back! Share Evan Hopkins with social media or subscribe to the quarterly mailing list to receive your downloads. We won't spam you and will never share your details with anyone! Receive sheet music, news and updates! BOOK MY FREE INTRODUCTORY LESSON!